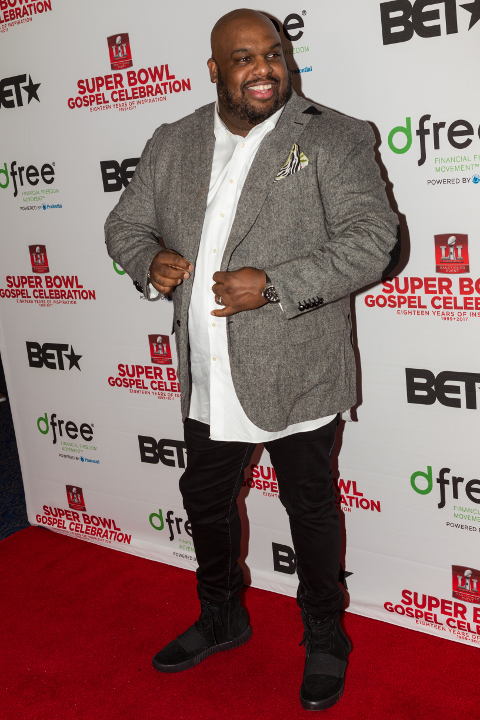 Relentless Church pastor John Gray has asked his congregation to cough up some serious cash to pay for repairs needed for the church's roof. They need an additional $250,000 on top of what's already collected weekly in tithes in offering. Pastor Gray said he inherited millions of dollars in debt when the Relentless Church took over the building from outgoing Pastor Ron Carpenter. He moved his Redemption Church ministry to California after 25 years at the Greensville, SC location. During his "Off The Wall" sermon on Feb. 10th, Pastor Gray brought up one of the church's treasurers to come up and explain that the church has a "challenge with the roof" that's going to cost $250,000 to fix. She said the roof they have now has been up since 2004 and it's in bad shape. "So now we need 499 'cause I got $300 on it. Anybody else?" Gray asked. "The work must continue. This is not a plea for money, it's a plea for partnership, so we can be what we’re supposed to be." He's optimistic that the church can raise the money by April 3rd. "(Ron Carpenter) handed us keys. The keys were not to a paid off building, the keys were to an opportunity, an opportunity to continue the work," Gray said. "Nothing you see is paid off. It wasn’t paid off when we got here." "The Holy Ghost said this to me so I’m going to speak it out, that there is severe weather coming to the region this spring because of all of the climate change and issues," Gray said. "Whether you understand all the science behind it or not, or agree, I heard the Lord say, 'I want you to make sure the house is covered so that when storms come people can come in here and be covered.'" "Just in case you were wondering where your money is going, it's going into these buildings," he explained. The Holy Ghost speaking to him about money seems to happen often, according to his alleged mistress. Back in October, it's reported Relentless Church purchased a $1.8 million home. According to Greensville Online, church leaders said the Relentless-owned home was needed to attract a leader of Gray's caliber. Also, you'll recall the pastor received tons of backlash for purchasing his wife, Aventer Gray, a $200,000 Lamborghini SUV as a gift to celebrate their 8th year anniversary. Some folks were calling it a quilt gift after rumors were spreading that he cheated and got another woman pregnant. He denied he cheated on his wife. Then, he said he had an "emotional affair." His alleged mistress recently spoke out, saying their situationship was much more than just "emotional." She leaked voicemail receipts and shared details about their alleged affair. Catch up HERE.